Kunal Bahl and Rohit Bansal, co-founders of Jasper Innovative Marketing Solutions Pvt Ltd, the owners of the group buying site Snapdeal.com, are spending the day at Bangalore's Leela Palace, conducting back-to-back interviews with potential employees. Tomorrow, they will head to Mumbai to hire more people in that city. The company's hiring plans are in full swing as it is currently adding 75 people every month. SnapDeal already has 400 employees in more than 30 cities and the company aims to double the headcount by the year end, Jasper CEO Kunal Bahl told Techcircle.in. By May 31, the company will be expanding its 'feet on the street' to 50 cities and is now getting ready to tackle the customer explosion from these cities. It will be adding employees across the board â€“ from logistics, inventory sourcing, content, production, technology, online marketing, accounts and customer support, Bahl said. Jasper raised $12 million in its series B round of funding in January from Nexus Venture Partners and existing investor IndoUS Venture Partners. "We need to have the people infrastructure to support our rapid growth and service our customers fully," he said. It's not just Jasper, the other e-commerce sites are also adding more heads to their sales and customer care teams in a bid to grow and roll out new categories and building the infrastructure. Groupon India is learnt to be hiring aggressively in various metros as it is keen to take on competitors like SnapDeal and eBay India. In an earlier interview with Techcircle.in, Ananya Bubna, managing director of Groupon India, called himself an "overhyped recruiter" and shared that the company was expanding to 25 cities such as Lucknow, Kanpur, Guwahati, Bhubaneswar, Surat, Ludhiana, Visakhapatnam, and Thiruvananthapuram. 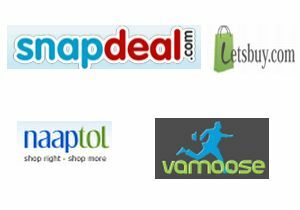 Consumer electronics shop Letsbuy.com employs 82 and expects to reach 100 by end of June 2011 as it expands to UP, Tamil Nadu, West Bengal, Orissa, Punjab and Haryana. The site raised $6 million from Accel Partners, Helion Ventures and Tiger Global in January this year and is investing at least $2-3 million in scaling up. Naaptol, a shopping site which is backed by Canaan Partners, plans to add 500 employees by end of year and is currently adding 50 people to its call centre operations on a monthly basis. Currently Naaptol employs 1000 of which 800 are call centre employees. "Currently our growth is primarily in the call centre operations and we will also add to our merchandising and category management teams," shared Manu Agarwal, founder, Naaptol. It has an office in Gurgaon, a logistics facility in Hyderabad and a content management team in Jaipur, which currently has 40 members. Vamoose.in, a travel deals site by Travel Mart India, is also hiring 15 people per month to ensure more daily deals on travel packages, hotel stay and vacations. It mostly hires people from the hospitality industry and plans to employ 100 people in the next six months. Vamoose is yet to land an institutional investor, though, and is bankrolled by the founders themselves. "As our business is growing very aggressively, we need more people to help us scale up. It's the peak season in travel, and we are adding employees to augment our efforts and service the rising demand," said Manoj Gursahani, director of Vamoose.in and chairman of Travel Mart India Pvt Ltd. The company is looking to expand its social media marketing and contracting teams, as well as its operations. And it has given the mandate to HR agencies to target the right candidates. There are also vacancies for top level management positions at Vamoose.in and the company is currently looking for a CFO and a CTO. However, challenges remain. "It is not easy. We manage to recruit one or two of 20 people we interview. An existing talent pool is available, but we recruit the very best out of them," said Gursahani. Vamoose.in has also shortlisted an office space in Mumbai and will move in there in the next 6-8 weeks. Interest from consumers in online coupons is at an all-time high as can be judged from the fact that SnapDeal recorded 30,000 transactions in a single day. And not surprisingly, hiring has to go on.